Once Tuscan, now French, this little Mediterranean island's geological diversity makes it a bit like a mini continent. If you circuit the island - some 900kms on tiny, twisting, very scenic roads - you'll see the spiked peaks inland, the rugged cliffs and beautiful aquamarine bays and the smooth stretches of beach. Alongside these you'll find the glitzy towns, while up in the hills are the tiny, picturesque villages. 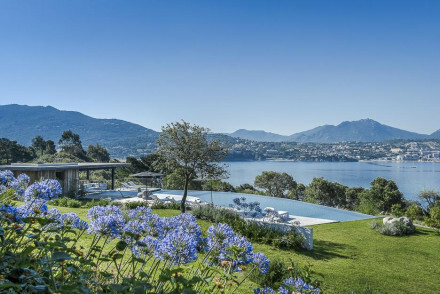 The Hotel Guru's selection of the best places to stay on Corsica encompasses the island's greatest picks from chic retreats with Michelin starred cuisine to rural hotels for those who've come for the great outdoors. Corsica's southern coast has the gentler scenery and fine, white sand, and if you're a beach lover this is where you should stay. Book a hotel in Porto-Vecchio if you want to be close to tropical style beaches. The island's northern cape also has some excellent beaches and beach resorts. Heading up from the busy, modern port of Bastia are the smaller fishing villages and beach resorts. Centuri and Brando are among the small towns found in this area. Staunchly Corsican, the mountain towns of Corte and Bastelica are amongst the best places to stay in Corsica if you want to experience this island's dramatic interior. Corte's mountain setting is spectacular, and its proximity to several major rivers and grand gorges and valleys mean it's one of the best locations for hikers, climbers, mountain bikers and general thrill seekers. Ajaccio is something like the Cote d'Azur used to be: classy and confident. The pale coloured buildings of the centre have charm. The cafes buzz. The marina is large and the boats impress. Making Ajaccio the perfect destination to appreciate the island's relaxed, but stylish, atmosphere. This is also where Napoleon Bonaparte was born. Calvi is another place to appreciate this island's French Riviera flavour. Once a great Genoese port, many of the buildings are more fortress than palace, but they lend a graceful backdrop to the massive yachts and cruisers of the marina. The cafe and restaurants are upmarket to cater to the yacht owners. The beautiful Scandola Nature Reserve boasts a stunning landscape and is always a hit. Hike around the many red stone cliffs, go off exploring the caves or simply meander through the area keeping an eye out for the abundant wildlife. Without doubt, Napoleon Bonaparte is Corsica's best-known son. 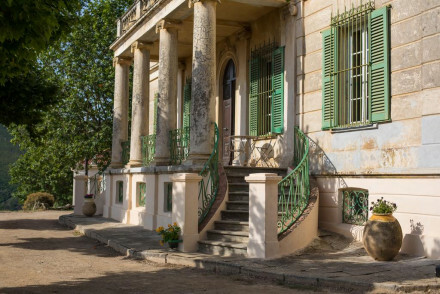 Therefore, any trip to the island would be amiss without popping into the Maison Bonaparte museum set in his ancestral home. Filitosa is a monolithic archaeological site in the south of the island. Wander around and enjoy the menhirs, standing stone statues with faces on some of them, which date back to as early as 1500 BC. Don't forget that this island is becoming increasingly popular year on year. 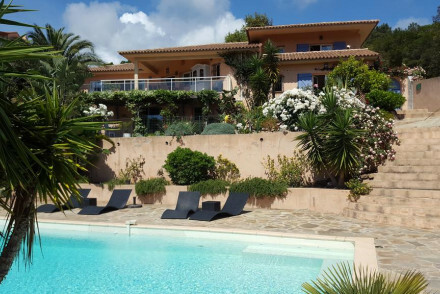 So if you want to guarantee a room in one of the best places to stay on Corsica during the peak summer months, you'll need to get organised and book well ahead. The Demeure Castel Brando is only steps from the beach and is a great property for families. Its 45 rooms are served by several pools and plenty of public space so it'll always feel as if you have a corner to yourself. 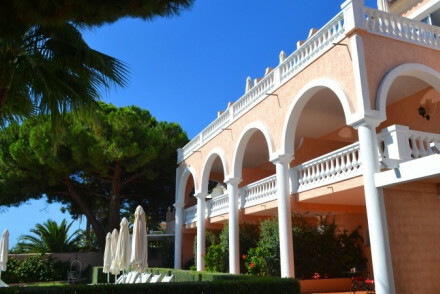 Hotel Le Pinarello enjoys a beachfront location and offers superb sea views. 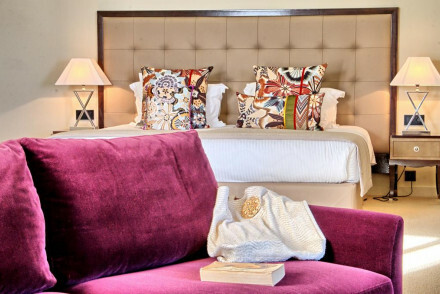 Chic accommodation with private terraces, plus pampering spa and fine dining. Guests have complimentary use of the hotel's sea kayaks, and with a boat available to rent and a number of watersports options nearby, this is also a great option for those who want to make the most out of being by the sea. 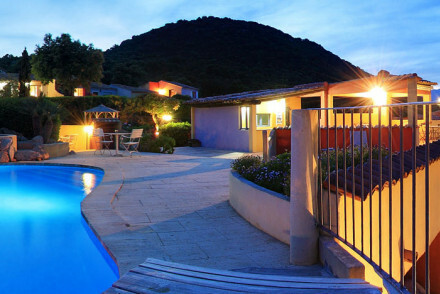 Hotel Demeure Les Mouettes is just a short walk from Ajaccio, the birthplace of Napoleon. This stunning 19th-century villa features a dramatic exterior coupled with stylish and spacious interiors. Spend your days lounging by the seaside or hire a bike and head off exploring! A great family choice. For those willing to push the boat out, the Grand Hotel de Cala Rossa is a simply divine option. This beachfront resort oozes barefoot luxury - think natural tones, chic furnishings and bamboo flooring. Spend your days by the beach, get stuck into a number of watersports or make full use of their elegant spa facilities. What's more, the restaurant is known for its gourmet seafood! Worth every penny. Hotel Artemisia's amazing mountain views make it one of the best places to stay in Corsia for photographers. Its own design is probably worth capturing too - they've gone for basic chic. So white rooms with huge skylights and huge windows to let in as much of the beautiful surroundings as possible. Hotel Genovese sits perched atop a cliff, offering splendid views of the island's coast. This spot provides unfussy contemporary accommodation and areas such as the pool seamlessly blend original stone wall features with modern design. 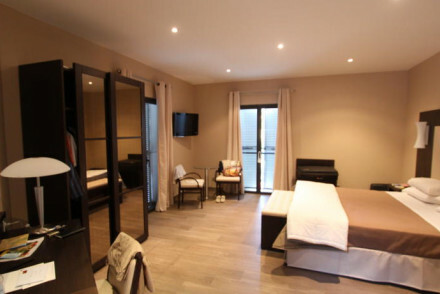 Demeure Loredana features swish boutique interiors and is just a stone's throw from the coast. Unwind with a refreshing dip in the infinity pool and take in the dramatic coastal views. A lovely grown-up beach retreat! Nestled amongst the mountains, the chic Chez Charles provides superb views of the area from a wonderful vantage point. With smart accommodation, a Michelin-starred restaurant and a great spa, there's more to this spot than just the views! If you prefer intimate accommodation The Manor is a great choice. 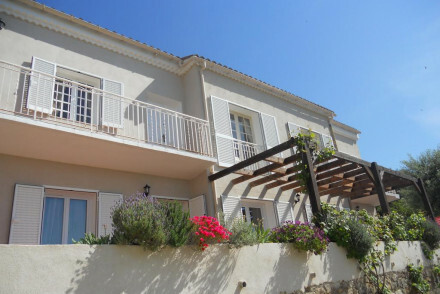 This gorgeous B&B on the edge of Calvi has stunning views and most importantly only four rooms. 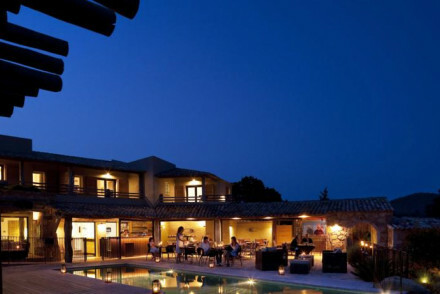 Which also makes it one of the best places to stay in Corsica for couples looking for romance. The gardens are beautiful, but so is the house! Stone walls, marble floors, vast arched windows, and all pretty much to yourself. You'll feel like royalty. Mare e Monti is a rustically elegant experience and boasts plenty of old school charm with its unfussy interiors with plenty of original features. Set on a hilside, this 19th-century mansion offers splendid views. The restaurant serves up dishes made with ingredients straight from the local market. Perfect for those who find modern hotels lacking a certain character. With an elegance belying that of a usual family hotel, Demeure les Mouettes is nonetheless a great choice. 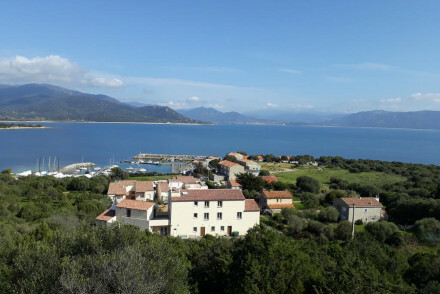 Walking distance to Ajaccio and its sights, bikes available for guests to hire and plenty of local beaches as well as watersport options make this a superb spot for the entire family to enjoy. Cots are available at Demeure Castel Brando, and the kids will love the property's proximity to the beach. Let them run around the garden as you relax by the pool and you can ask the hotel about hiring some bikes for the day to head off exploring the area. With five pools (that's right, five! ), tennis courts, ping-pong tables and much nore, even the kids will be happy about spending your holiday at La Villa. Grown ups will be pleased to hear of its chic accommodation, superb spa and three restaurants. Something for the entire family! 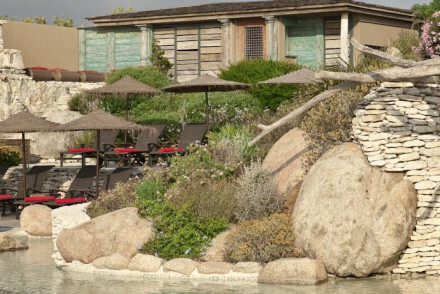 If you've come to the island to relax then Le Roc e Fiori is one of the best places to stay in Corsica. 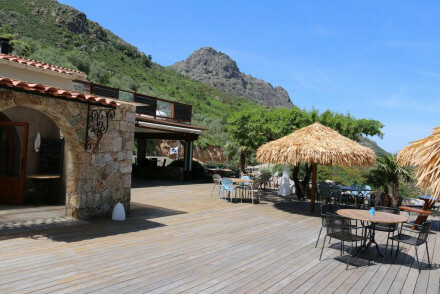 Nestled between the mountains and the beach just outside Porto-Vecchio, this hotel has a lovely relaxing vibe, from the pastel shades to the tranquil green gardens and the excellent spa facilities. Plus there's good family accommodation with suites for up to four. 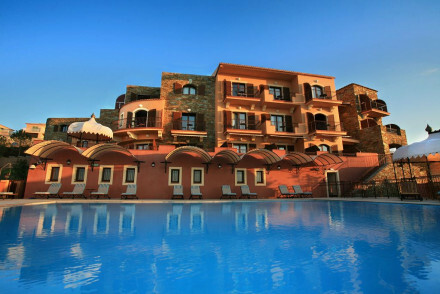 The Miramar Boutique Hotel enjoys a superb beachfront location and is a top-notch family stay. The hotel offers baby bathrobes, swimming lessons and childrens meals as well as having a number of fantastic activities to keep everyone entertained throughout the day. The hotel can arrange for you to get stuck in with a variety of watersports as well as boat tours around the coast or horse riding trips of the island. Cala di Greco offers just six suites, perfect for those seeking a quiet break. Soak up the sun by the infinity pool and enjoy the stunning countryside views all around. Privacy and peace - ideal for a spot of romance! 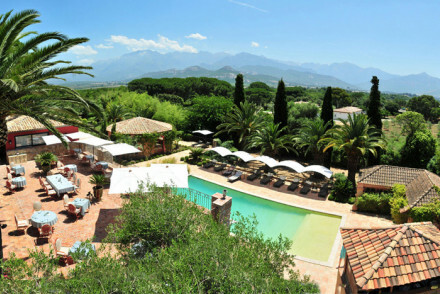 Hotel La Signoria lies amidst the mountains outside Calvi. This 5* property features swish interiors complete with Persian rugs and antique furniture, whilst there's also a spa and an outdoor pool to relax by. Delightful accommodation in a great area. La Dimora boasts suites furnished in a rustic-chic style and featuring their own private terraces. Wander around the luscious gardens revelling in the quiet atmosphere, lounge in a hammock with a good book or soak up the sun by the pool. With spa facilities to boot and massages on offer, this promises to be a wonderfully romantic and incredibly relaxing stay. 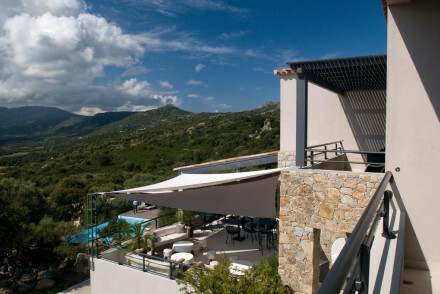 The designer U Palazzu Serenu provides chic and minimalist contemporary accommodation whilst enjoying a gorgeous location amongst the hills of Northern Corsica. As it offers just six rooms and three suites, there's plenty of peace and quiet to complement the setting! What's more, there's a lovely restaurant to top it all off. 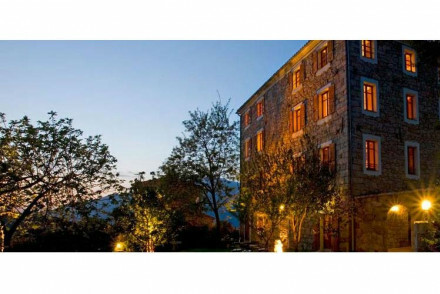 Hotel Artemisia combines modern design with the expected peace and quiet of a traditional mountain lodge. Offering ten boutique rooms with fantastic views, the hotel is also the perfect base from which to go trekking around the area. Fun and funky, it's certainly a new twist on the classic mountain retreat! Casa Theodora, set in a 16th-century house, enjoys a secluded mountainous location just a short distance from the coast. This charming spot offers traditional accommodation which is full of character and there are a number of nearby activities with which to keep yourself busy. Great value! Situated right next to a National Park, Mare e Monti is the ideal choice for those looking to stay active and see the island's countryside. Head off paragliding or on safari tours, play a round of golf nearby, get stuck in with a number of watersports or simply enjoy long hikes around the island. For groups of friends or family, an apartment or villa is often the best option. For a wide range we recommend our online partner booking.com. The best time weather wise to visit Corsica would be from May to October. For beachgoers temperatures peak at around the high twenties celcius in August, but if you want to hike, either plan to go early or late season, when it's much cooler. For such a small place, Corsica offers a range of airport choices. You can fly to Calvi, Bastia, Figari Sud Corse and Ajaccio - all pretty small yet perfectly functional. Alternatively there are regular ferry services from Marseilles and Nice, or Genoa and Livorno. Browse through our list of all the best places to stay in Corsica. 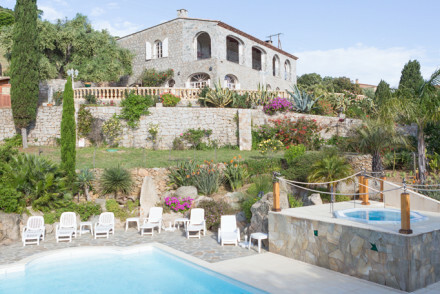 Alternatively, search for properties in neighbouring Sardinia. If you're still stuck, feel free to call or email one of our friendly gurus for advice. Located only a 5 minute walk from the beaches of Algajola, this charming guesthouse offers both modern comfort and an authentic atmosphere. Featuring a sun terrace with gorgeous views of the historic town and an on-site restaurant providing a variety of cuisines. A perfect base for explorers. 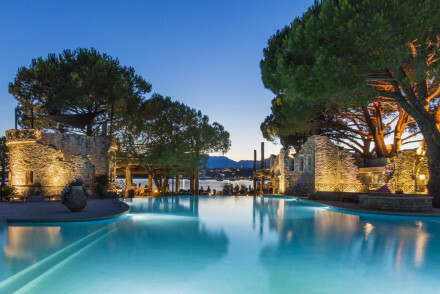 Set in the idyllic Corsican countryside, only a 10 minute drive from Porto Vecchio and 15 minutes from the world famous Santa Giulia beach, this hotel offers serenity and tranquility. A heated pool, jacuzzi, sauna, tennis courts and local cuisine are all available. Perfect for a peaceful retreat. 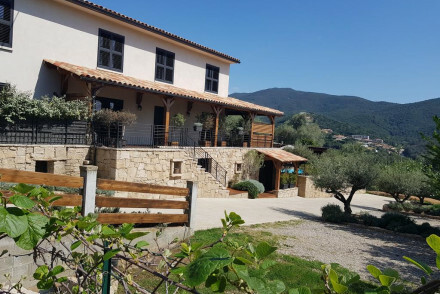 Hidden in Corsica’s countryside, this B&B is ideal for families and groups, with chic en suite double rooms and a private eight person cottage. Guests can enjoy a Mediterranean breakfast with homemade jams and cereals, sunbathe by the pool and relax on the terrace after a day of coastal exploring. Quiet country inn in the Barocaggio-Marghese mountain range of Southern Corsica which has been sympathetically restored to provide eight simple but charming, individually designed rooms with plenty of period features. The popular restaurant serves wood-fired pizzas and local dishes. Great value too. Sights nearby - For those with archaeological interests the sites of Cucuruzzu and Capulla are very close. Perched on the beautiful coastline of the Sanguinary Archipelago the Dolce Vita promises pure seaside bliss. With spacious light-filled rooms each leading to private balconies overlooking the sea. As well as a private beach, guests can avail of an outdoor pool and restaurant. A heavenly stay. A pretty hotel in the Corsican countryside. Contemporary rooms have stripped back comfort with wooden floors, soft lighting and access to the terrace. An indoor pool and sauna. Excellent regional cuisine. A perfect island hideaway. Designer-chic mountain hotel with fantastic views. White rooms with huge sky lights to gaze at the mountains from. Access to hiking, riding, skiing and kayaking. A lovely mountain spot. A pretty hotel in a 16th century house. Unique rooms have antique furniture, traditional colours and views. Indoor pool, excellent massages, and a library to relax in. Corsican specialities in the restaurant. Secluded, great value, charming. 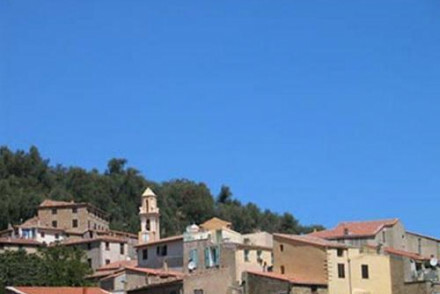 A charming B&B nestled in the heart of South Corsica, with stunning surroundings. Fully restored building offering the charm of 'Belle Epoque' architecture. Featuring an outdoor pool, mountain views and a sun terrace. Continental breakfast from local producers. Perfect for a tranquil retreat. Trendy hotel in an excellent central location good for both town centre and beach. There's a choice of spacious and modern rooms and suites - all seriously chic with a minimalist touch and vintage furnishings. Plus there's La Cantina restaurant, an indoor pool, and gym on site. Swimming Pool - A heated and covered pool on the top floor of the hotel. Comfortable accommodation in part of a stately 19th-century mansion. Bedrooms have a rustic feel with tiled floors, original period features and stunning hillside views. Pleasant outdoor dining offering regional cuisine. Calm, relaxing and remote. Ideal for a sunshine break off the beaten track. 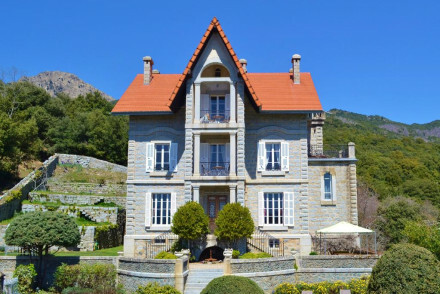 A large 19th century Corsican villa with spectacular views of the ocean. Contemporary rooms and suites with private balconies. Large swimming pool surrounded by palm groves, a short walk onto the beach, and great spa for evening pampering. Great for beach holidays and families. 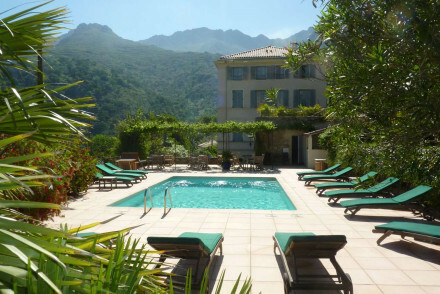 Hotel La Solenzara is a peaceful hotel on the east coast of Corsica, just off the sandy shore. With comfortable rooms, a large swimming pool and a spa, it's perfect for a relaxing island break. A great value option, at the foot of the lovely Bavella mountains. Value chic - A stunning beachside property offering elegant rooms, lovely gardens, an extensive spa and a pool- at a very reasonable price. Great walks - With a choice of walks along the coast or up into the Bavella mountains. Sailing - A great stop off point for a sailing trip around Corsica. 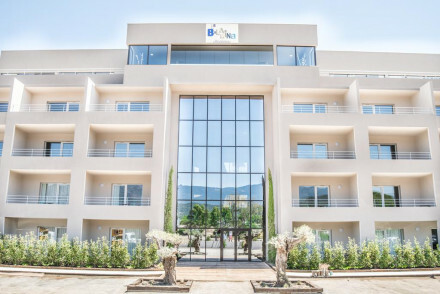 Situated at the entrance to the town of Sartene, this hotel is ideally located between the ocean and the mountains, in a region full of history. 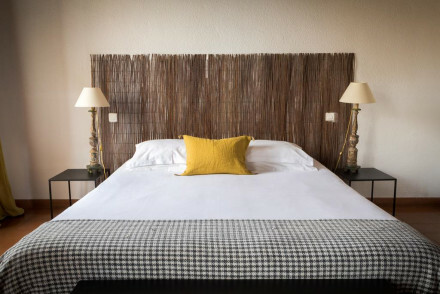 With a heated pool, recently renovated spacious rooms and an optional breakfast, this charming hotel is perfect for those wanting to explore Corsica. Beautiful stone 19th century Corsican house. A lovely restoration with bright white walls, vaulted ceilings and terracotta floors. 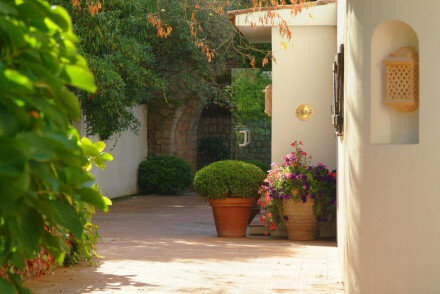 Pretty gardens, stone-paved lanes, sunny terraces, swimming pools, and great spa. Utterly relaxing. Charming, folksy but with refined modern comforts, this is an all-encompassing experience: award-winning in-house bistro, large swimming pool with panoramic views of the valley. Comfy, cream-white and almond coloured rooms and hiking tours that will take your breath away. Back to Nature - In the middle of a great, green valley and near Balagne, one of the most beautiful natural sites of Corsica. Sights nearby - Balagne, known as the "Corsican Garden", is an area of natural beauty and is littered with old citadels and churches. Gorgeous B&B with fantastic views, swimming pool, and beautiful gardens. Stone walls, marble floors, huge arched windows. A fantastic alternative to staying in a hotel. Full of character. Situated in Favone, this gorgeous B&B is only a short distance away from the beach. Offering immaculate gardens, an outdoor pool and continental breakfast for all guests. The rooms are spacious and airy, each with a flat-screen TV and fridge. The perfect location for rest and relaxation. Delightful hotel nestled between the mountains and the beach. Airy bedrooms and suites in pastel colours. Flowering courtyards, gardens, and sea views. A spot for spa pampering, lazing, and indulging in the nearby water sports. 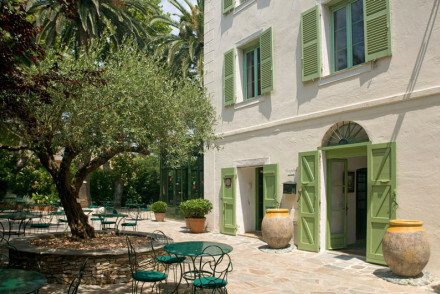 Cosy and sweetly-adorned Corsican guest house with just three suites. 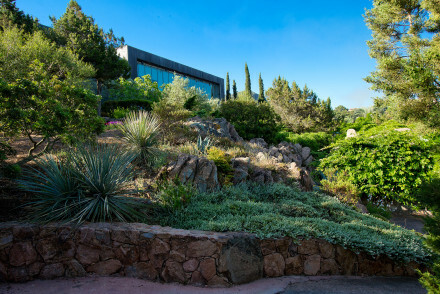 The garden is bristling with tropical plants and exotic trees, and the views are spectacular. Located just a short stroll from the nearest beach. An idyllic rural escape. Active Holiday - Canyon scaling, gorge climbing, kayaking and horseback tours are all organised locally. Back to Nature - Beautiful garden: citrus trees, roses, wisteria - a secluded, tropical paradise. Total relaxation - Secluded pool, cosily-furnished rooms and reading areas in the shade of roses. Beach Life - Overlooking the Gulf of Favone, a stone's throw away. A modern hotel on a clifftop with soaring views out to sea. Contemporary rooms feature exposed beams, coloured walls, and seaside furnishings. Beautiful outdoor pool, sunny terraces and a bar. Outstanding views. Laid-back, chic and refreshing. 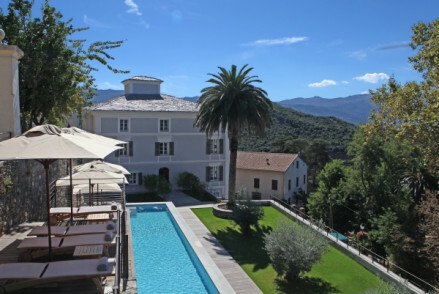 A boutique property boasting magnificent views of the surrounding mountains. Stylish rooms are contemporary in style with natural hues, simple wooden furniture and crisp white linen. A glorious swimming pool, warm hospitality and indulgent breakfasts make this an enticing mountain retreat. 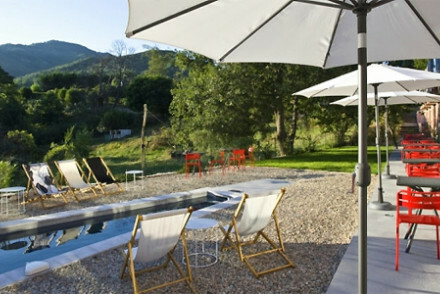 Country Escape - A stylish base set in the stunning Corsican mountains. 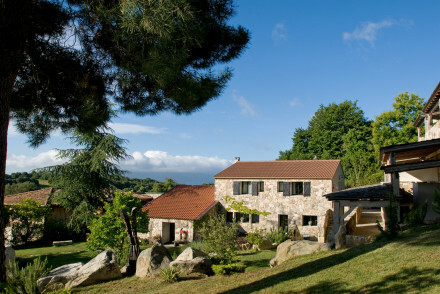 A charming property set amidst the olive groves in the Corsican mountains. Simple rooms are light and contemporary with lovely views of the pretty valley. Within an old orchard find a luxurious outdoor pool and delicious cuisine, using locally sourced produce, is served. Country perfection. Contemporary chic hotel in the lovely village of Lumio. Close to the coastline and the hills. Offers fantastic spa and Michelin star restaurant 'Oggi'. Spectacular views of the mountains to enhance a state of wellbeing. A gourmet spot in wonderful surroundings. Foodies - Michelin star restaurant 'Oggi". Secluded B&B, nestled in the Cinarca Valley. Modern, en suite rooms suited for couples and families alike, from stylish doubles to spacious four beds. Guests can eat homemade breakfast on the terrace, walk through the gardens, relax by the pool, or watch the summer sunset over the Mediterranean Sea. This historic hotel nestled in the secluded countryside offers breathtaking views of the ocean and surrounding area. Featuring a gorgeous outdoor pool area, spacious rooms, a traditional winery and a bar for evening relaxation. Perfect for those wanting an idyllic countryside retreat. This stunning B&B is nestled in the beautiful Campana region, in close proximity to the national park. Boasting a tranquil outdoor pool area and a sun terrace with views of the ocean. A popular destination for hikers and cyclists. Ideal for those wanting to relax or explore the surrounding area. 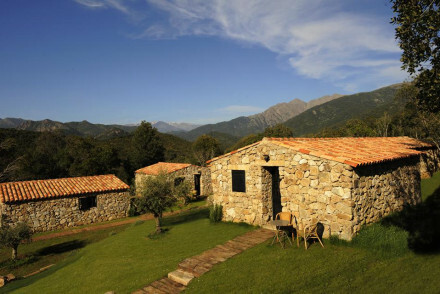 Hideaway - Situated in the heart of Corsica's wild interior, this truly is off the beaten track. 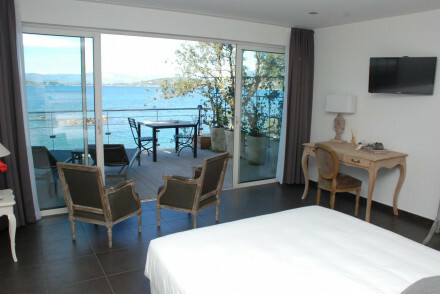 Contemporary all suite hotel with stunning views of Corsica's glorious countryside, including from the infinity pool. Neutral tones harmonise with splashes of colour in the rooms to capture the special Mediterranean atmosphere found in the surroundings. A laid back island hideaway. An elegant Five Star hotel with mountain views. 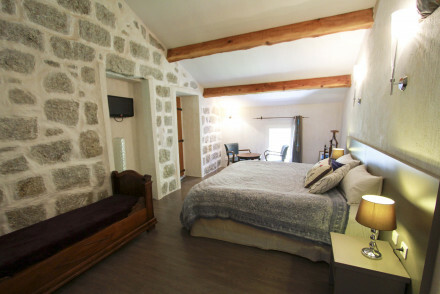 Stunning rooms feature antique furniture, artworks and coloured walls, all with Corsican tiled bathrooms. Quiet outdoor pool, gym and spa. Excellent fresh produce cuisine, intimate bar area with leather furniture. Sophisticated, luxury and laid back. A secluded, seaside B&B, surrounded by Corsican nature. Four beautiful en suite rooms, with private terraces and unique sea views. Guests can relax on the beach, eat delicious meals in the restaurant, with fresh, locally sourced produce, and watch the Mediterranean sunset from the balcony. Stylish, spacious and ornately decorated apartments with high-tech fittings. All suites have private parking and access to a terrace with a brilliant view of the old city of Porto-Vecchio and a large heated pool. A chic base to explore the island from. Groups - Spacious apartments and lofts for up to eight people, with cinema rooms, lounge and dining areas. 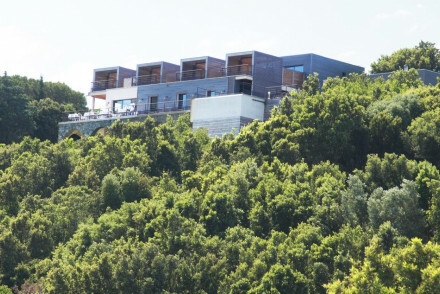 The stylish eco Casa Murina overlooks Porto Pello's beach. Large and quirky rooms feature antiques and private sea-facing balconies. Suites with private kitchenettes are ideal for family beach holidays or groups of friends. Beautiful sea views from the terrace. An utterly charming stay. A romantic hotel set between the coast and the hills of Northern Corsica. Stunning rooms and suites in golden tones with private terraces. Swimming pool, luscious gardens, hammocks, and terraces. Set in beautiful surroundings and only a ten minute drive from the beaches of Balagne. This hotel offers a heated swimming pool, a massage centre, a hot tub and a gym. An on site restaurant is also available. A stunning hotel, perfect for those seeking total relaxation and escape. This stunning hotel, located directly on the waterfront, is the ideal getaway for couples, featuring two on site restaurants, an infinity pool and two hot tubs. Additionally, each room has its own private terrace and garden view, creating a luxurious feel. A luxury location for rest and relaxation. A charming small hotel in the little village of Molini. Chic rooms are simple and contemporary with dark polished wooden floors, crisp white linen and luxurious bathrooms. Spend days at the nearby beach or simply unwind by the enormous glistening pool. A tranquil escape. Beach Life - Located within walking distance of a picturesque beach. 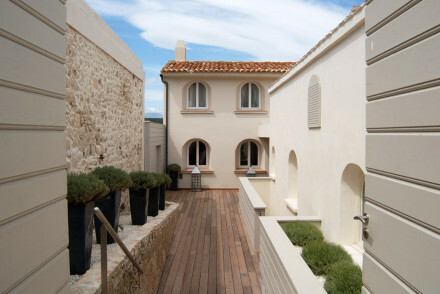 A chic boutique property situated near the coast in the heart of the city. Elegant rooms are light and airy with soft hues, luxurious bathrooms and the best have fabulous sea views. Boasting an indoor pool, wellness centre, panoramic terrace and cosy bar. An ideal base to explore the city from. Local exploring - Ideally located in the heart of the historic city with many of its main attractions within walking distance. Sights nearby - Visit the 17th-century baroque Church of Sainte-Marie. Great walks - Stroll through the citadel dating back to 1380. A stunning hotel with ocean views. Gorgeous rooms have wooden floors, designer furniture and artworks. Outdoor infinity pool, indoor pool, sauna and massages. Sumptuous lounge area. A grown-up and unique beach holiday. Stylish B&B on the Corsican coast. Three bright en suite rooms, all with modern furnishings and private terraces. An organic breakfast is served daily, with homemade cakes, jams and locally sourced fruit. Guests can enjoy aromatherapy treatments or relax by the pool and take in panoramic sea views. An elegant beachfront hotel with spa and indoor pool. The bedrooms are clean and have cool, neutral colours. Plenty of water sports and activities on offer in the hotel's private cove. The restaurant serves exciting dishes and great local seafood. Relaxing getaway beach spot. 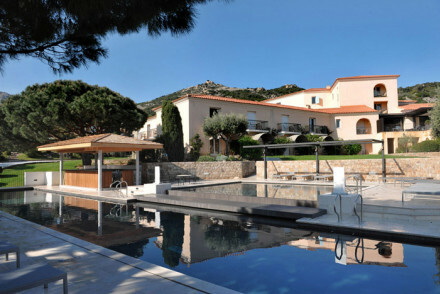 A gorgeous Five Star hotel in north Corsica. Large bedrooms feature minimalist furniture, balconies and lovely bathrooms. Five outdoor pools, tennis court, gym and spa. Excellent Corsican cuisine. Luxury, chic, and spacious. Great walks - Through the "The Garden of Corsica"
Situated on the stunning south-east coast of Corsica each room has a balcony or terrace with which to lap up the beauty of the sea and port below. An al fresco restaurant serves a creative menu of delicious local cuisine. Rooms are modern yet authentically mediterranean with exposed stone and wood. Stunning designer hotel in the hills of Northern Corsica. Minimalist designs and artwork by Anish Kapoor. Something to soothe the soul. Rooms and suites with parquet floors, clean lines and brilliant light. Lovely swimming pool and restaurant. A serene and romantic hotel. Designer - Artwork by Anish Kapoor. A stunning, modern hotel overlooking the beautiful turquoise waters of Santa Manza Bay. The contemporary rooms are sleek and minimalist, many with beautiful views out to sea. Go for a beautiful coastal walk or luxuriate by the sublime infinity pool. A Corsican Oasis. Total relaxation - With chic rooms overlooking the beautiful Santa Manza Bay, it's perfect for a relaxing, romantic break. 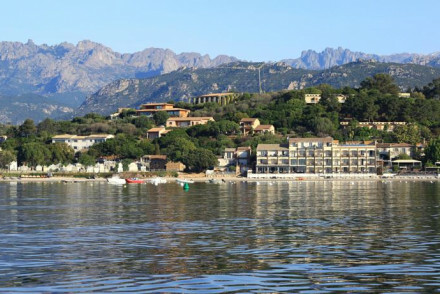 Local exploring - An excellent launch pad for exploring the charming island of Corsica. Sights nearby - Any history buffs should check out the King Aragon Steps, just three miles from the hotel. Great walks - Wake up early and head off to explore the stunning countryside along the coast. A chic hotel on the beach. Rooms are minimalist with terracotta floors and dark wood furniture, most with private balconies and views. Outdoor pool, sauna and gym. Fantastic seafood cuisine served on terrace. Secluded, relaxing and pretty. All suite property with drop dead gorgeous views over stunning countryside. Two pools hewn from the rocks. 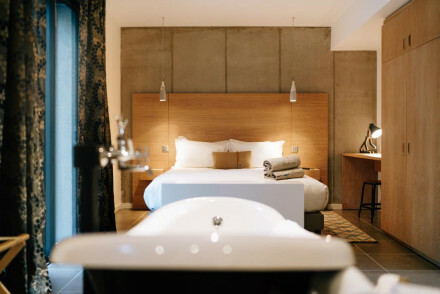 Stylish, individually designed, contemporary rooms where traditional materials combine seamlessly with modern comforts. A relaxing and romantic haven, off the beaten track. 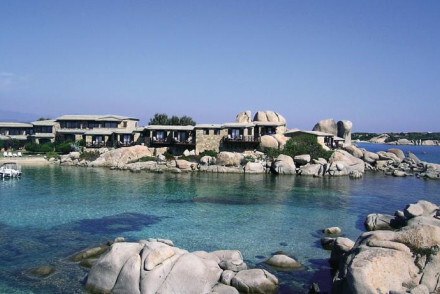 A luxury 5-star hotel in Cape Corse boasting spectacular sea views. Chic rooms are light and airy with contemporary art, indulgent bathrooms and soft hues. Boasting a spoiling spa, exemplary Corsican restaurant and plenty of outdoor pursuits on offer. The ultimate relaxing stay. Beach Life - A short stroll from a secluded, private beach, where a range of in-house watersports are offered. Total relaxation - A tranquil spot complete with spoiling spa. Diving - Discover the underwater flora and fauna or visit wrecks on a diving excursion. 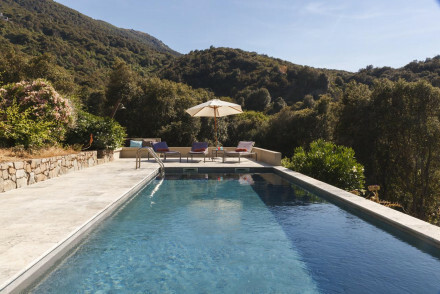 This small boutique hotel is situated in the quaint village of Tomino, featuring a stunning outdoor pool with panoramic views of Cap Corse, spacious rooms ideal for relaxing and a restaurant offering local cuisine. Only a short distance from the beach. Perfect for those seeking rest and relaxation. A welcoming hotel set in the Corsican mountains. Rooms are rustic-chic with period furniture, wooden floors and brightly painted walls. Outdoor pool, sauna and spa treatments. The restaurant serves up excellent fresh local cuisine. Quiet, chic and sunny. 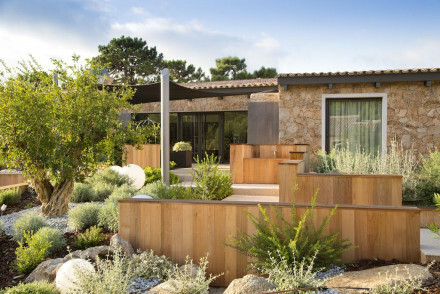 Stylish villa on the Corsican coast. Five, light filled en suite rooms, modernly designed with blush furnishings and stunning views. A traditional, locally sourced, Mediterranean breakfast is served daily. 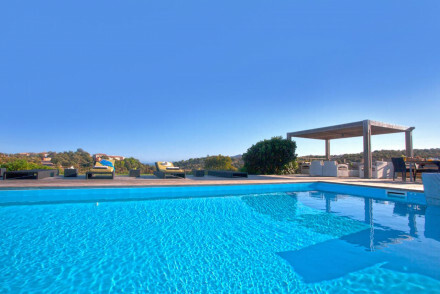 Guests can relax on the beach, sunbathe by the pool or enjoy panoramic views from the terrace. A stunning hotel and spa situated right on the shores of the turquoise sea. Simple white washed rooms create an air of calm. A romantic restaurant serves a fusion of French and Italian cuisine. An extensive spa will ease away any stress. A private beach for sun-worshippers. A spoiling stay. Spa breaks - An expansive spa with treatments personalised to each individual. Beach Life - A hotel that boasts its own white sand beach. Sailing - Hire a boat and discover the stunning archipelago of the Lavezzi islands. 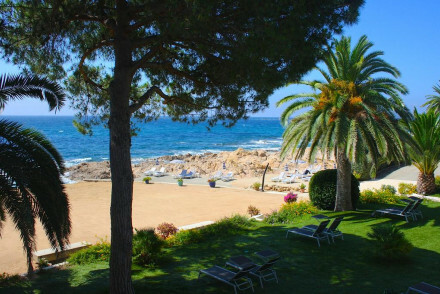 A beachfront hotel in Southern Corsica with sea views, relaxing spa and wellness centre. Rooms and suites are decorated in whites and creams, have private terraces and are all air conditioned. Daily fitness classes and fine outdoor dining overlooking the beach. Relaxing with lots of activities. With stunning views across the bay to Porto-Vecchio, this outstanding waterfront hotel is sleek and modern and set in extensive gardens. Its 34 room are all sea-facing with huge private terraces, and its two-Michelin star restaurant offers the best food in Corsica. 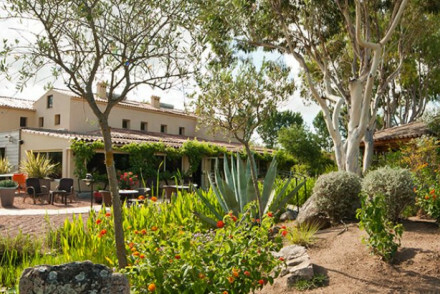 Nestled in the tranquil Prunelli valley, this gorgeous B&B perfectly combines tradition and luxury. Featuring indoor and outdoor pools, a jacuzzi, a restaurant serving delicious local cuisine and beautifully decorated bedrooms. A luxury retreat designed for relaxation and well-being. 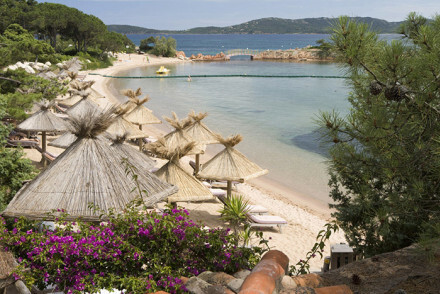 Nestled in the sandy coast of Porto-Vecchio, this hotel is perfect for those seeking luxury, rest and relaxation. Spacious modern rooms open on to the hotel's own private beach, whilst the on site restaurant features a terrace with gorgeous views. The ideal spot for an indulgent retreat. A charming coastal property with impressive sea views. The well proportioned rooms are individually styled with pops of colour bursting out against a rustic chic background. Dine on the terrace overlooking the sea and make the most of the excellent wine cellar. Just a short walk from the beach. Beach Life - Boasting gorgeous seaviews and just a five minute walk to the beach. Diving - Scuba dive with the nearby Scuba Libre centre.